adidas has always been in synch with their Japanese market, planning new footwear and apparel to fit the country’s unique taste. This month, the German giant has tapped streetwear legends BEAMS for a limited new Falcon sneaker. If you haven’t heard of BEAMS in Japan; pay attention now. The Japanese based streetwear & fashion retailer can somewhat be described as a department store for culture, though to label it as such would be criminal. BEAMS has proudly made a name for themselves by curating an enormous six-story building in Japan with each floor housing a different subject. The sections feature everything from fashion and brand items to arts and crafts, as well as brands of all kind. While the label has yet to truly establish themselves as a global brand, the importance of BEAMS in Japanese streetwear culture cannot be denied. This month, BEAMS and adidas have sat down together to work on a brilliant new take on the recent Falcon silhouette. The new Three Stripes women’s sneaker takes inspiration from the recently revived Yung-1, with a sleeker look. 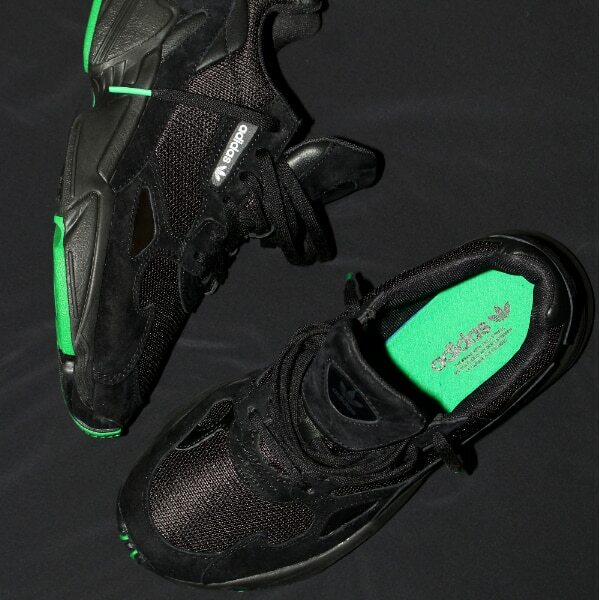 For their new collaborative effort, BEAMS and adidas have dipped the entire shoe in a deep black upper to start. Certain details along the upper stand out in white or silver, though these are kept to a minimum, mainly showcasing the adidas logo and reflective patch. 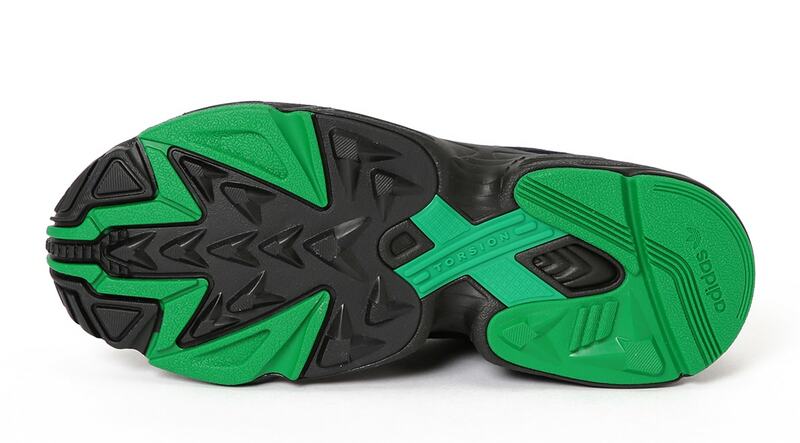 The most eye-catching part of the shoe is likely the least seen, as the outsole features a sharp and aerodynamic shape with a touch of bright green. The limited edition BEAMS x adidas Falcon Bespoke launched exclusively from Beams Japan this week, and is largely sold out now. 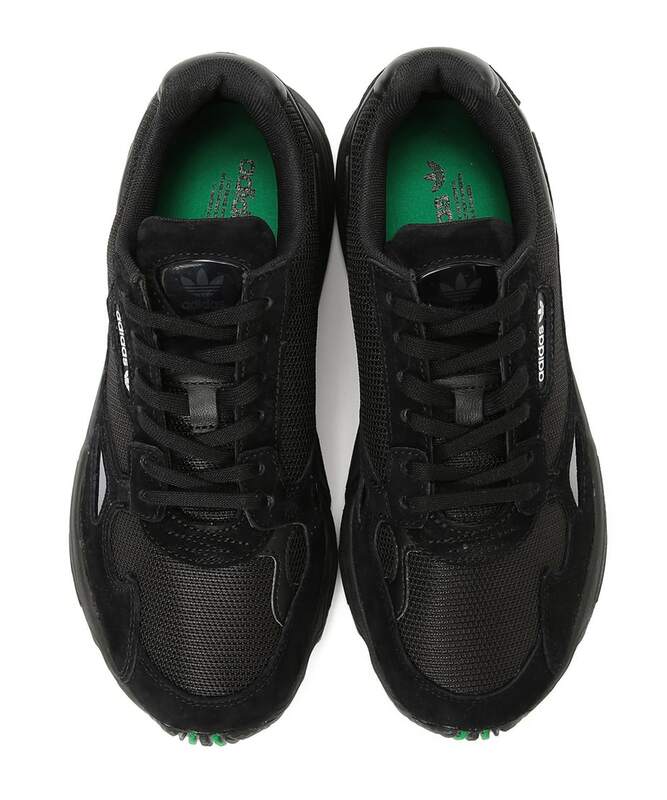 The clean black colorway retailed for its usual $100, a steal for such an incredible colorway. 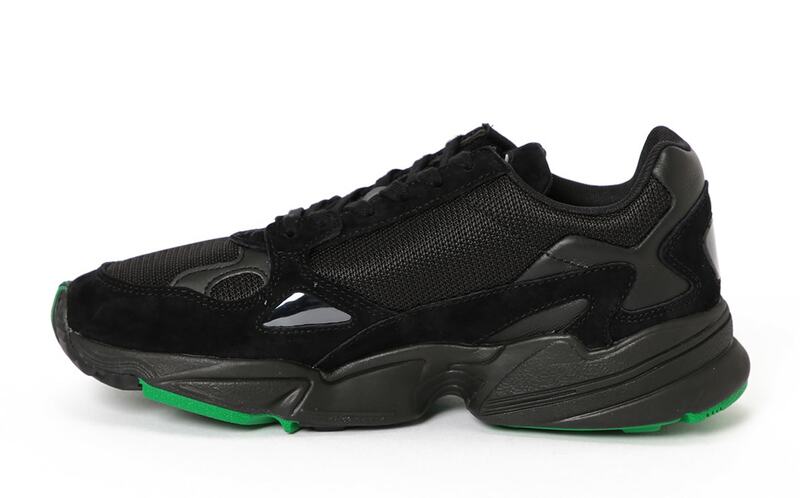 Check out the official images below for a better look, and stay tuned to JustFreshKicks for more adidas Falcon news. The post BEAMS Japan and adidas Secretly Dropped a Bespoke Black Falcon appeared first on JustFreshKicks.